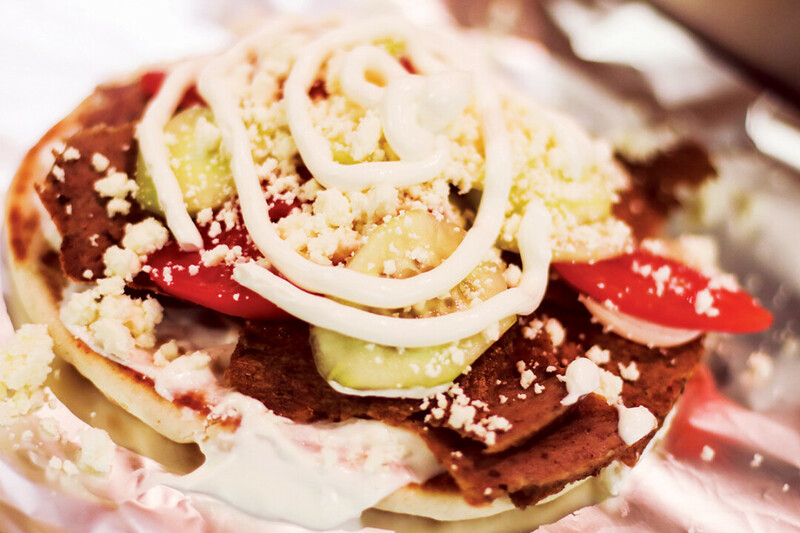 FOR THIS SANDWICH YOU’RE GONNA NEED A PITA. Greek food vendor Dhimitërs is moving to a new spot in the Oakwood Mall’s food court. Owner Vangjel Kapbardhi also plans to open a takeout location in downtown Eau Claire. There’s a lot in store this summer for local Greek food vendor Dhimitërs. The gyro joint, an Oakwood Mall staple, has spent the last month moving to a new spot in the food court. The restaurant, which closed May 31, is moving just a few spots over in the food court to between Charleys Philly Steaks and Rocky Rococo Pizza and Pasta. This new spot is larger than their previous location, owner Vangjel Kapbardhi said. Because of the size upgrade, Dhimitërs will keep all the favorite dishes customers are accustomed to, but there is also room to grow the menu. For instance, they plan to add a kid’s menu and root beer floats. Within the next few months, Kapbardhi plans to open a takeout and delivery location in downtown Eau Claire where customers can grab some Greek cuisine to go. While he said the downtown location isn’t finalized yet, he knows it will be on or near Barstow Street. The new location will have some space for those who wish to dine in, but he wants the new site to focus primarily on delivery and take-out. Additionally, throughout the summer, Dhimitërs will operate a food trailer which will sell popular menu items, including (but certainly not limited to) gyros, spinach pies, fries, and Greek salads, Kapbardhi said. The trailer is mostly used to cater for businesses, but concert-goers can get their Greek dishes on the go each Wednesday at the Rock’n on the River concert series in Altoona. On days the trailer isn’t otherwise occupied, community members can find their favorite gyro trailer trucking around the Eau Claire area. Kapbardhi said the business will sponsor local runners who compete throughout the Midwest. “By doing this we want to show everyone that even though our food gets on your tray fast, we only serve the highest quality food that’s actually nutritious because we care what you put in your body,” he said. Dhimitërs will open again in the Oakwood Mall food court on June 27 next to Charleys Philly Steaks. Its hours are 10am-9pm Monday-Saturday and 11am-6pm Sunday.